India is aiming to modernize its strategic arsenal with the introduction of advanced US and Russian defense systems. 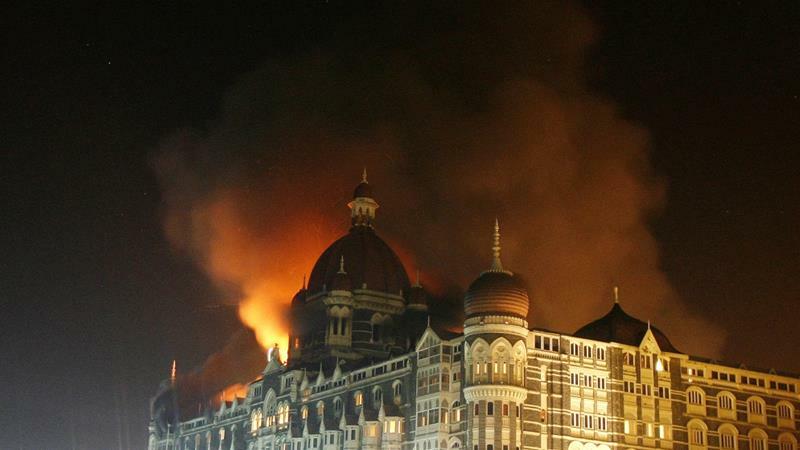 However, some military experts say that while the South Asian giant needs foreign technologies to become a self-sufficient arms manufacturer – and autonomous global geopolitical player – technical problems could limit their coexistence. The Indian government finalized the acquisition of Russia’s S-400 air defense missile system earlier this month and is said to be considering the purchase of the National Advanced Surface to Air Missile System-II(NASAMS-II) from the United States. Is the world at a point of no return in the South China Sea? Judging by the comments coming from the mouths of senior U.S. and Chinese officials, that would certainly seem like the reality. 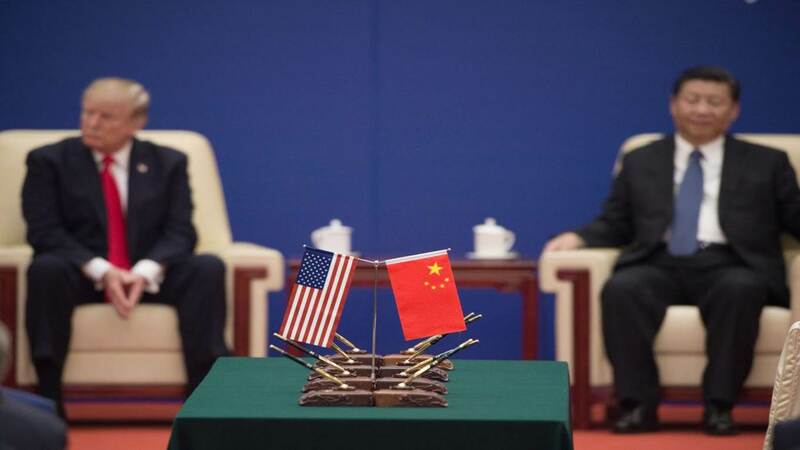 Both sides have dug into their maximalist positions, with Beijing viewing the expansive blue waters off the coast of East Asia as sovereign territory and Washington regarding China’s militarization of the area as a transparent rewriting of the international rules. Neither side is backing down —nor does either country seem interested in a compromise. During an interview on November 13, Vice President Mike Pence was asked about China’s failure to meet American demands over unfair trade practices, political interference, and military maneuvers in the South China Sea. Pence’s response was “Then so be it... We [the U.S.] are here to stay.” The People’s Liberation Army-Navy, it seems, can try to bully its Southeast Asian neighbors and construct artificial islands with anti-ship missile batteries all it wants. But, as far as Washington is concerned, America will continue flying and sailing in the open seas whether Chinese President Xi Jinping likes it or not. HONG KONG — Jack Ma, China’s richest man and the guiding force behind its biggest e-commerce company, belongs to an elite club of power brokers, 89 million strong: the Chinese Communist Party. The party’s official People’s Daily newspaper included Mr. Ma, executive chairman of the Alibaba Group and the country’s most prominent capitalist, in a list it published on Monday of 100 Chinese people who had made extraordinary contributions to the country’s development over the last 40 years. The entry for Mr. Ma identified him as a party member. 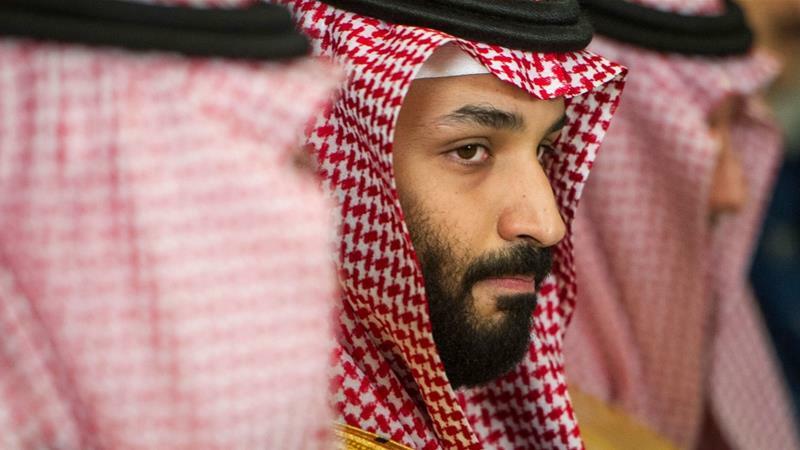 The officials were identified as Abdullah al-Malihi, a close aide to Prince Turki al-Faisal - a senior member of the royal family and a former Saudi intelligence chief - and Nasser al-Qahtani, who presented himself as the deputy of the current intelligence chief. On November 25, Russian warships attacked and seized three Ukrainian navy boats that tried to cross the Kerch Strait. The Ukrainian navy reports that Russian vessels opened fire and wounded at least six Ukrainian naval officers. On the same day, Ukrainian President Poroshenko and his Military Cabinet passed a resolution to impose martial law in Ukraine. The Ukrainian parliament is scheduled to decide on the resolution on November 26. Russia’s aggressive actions in the Kerch straits and the unprecedented Ukrainian response highlights the increasing danger of military escalation between the two countries. The Kerch strait represents a major geostrategic asset. It is enclosed by Russian mainland to the east and by the Russian-occupied Crimea peninsula to the west. The Kerch Strait is the only water connection between the Sea of Azov and the Black Sea. Passage of the strait is crucial for the major port cities in the Sea of Azov, such as Russia’s Rostov-on-Don and Ukraine’s Mariupol, which Russian separatists had repeatedly tried to conquer. Over the past 27 years, the United States has often planned and operated as though competition has ended and that there would be an inexorable pull toward U.S.-led institutions and world views. The growing reemergence of state-based competition, even when it falls short of military conflict, signals that the optimism of U.S. policy has outpaced the reality of other countries’ own ambitions to create their own realities. Events over the past decade have led to a growing realization by many in Washington that several states have been investing in the tools and concepts necessary to gain advantage—economically, politically, and geographically—in ways that do not involve the military. Some of the most well-known examples are Russian efforts to sow discord in national elections throughout NATO member countries and China’s building of military outposts in international waters in the South China Sea. Many other examples exist of states competing while avoiding the risk of war. It has taken Washington some time to realize that these activities are deliberate efforts to advance a country’s interest and are often at the expense of the United States or a U.S. ally. This report describes how the development landscape has changed in recent decades and how the United States has responded to this new environment. It presents some initial recommendations on the next steps that the United States needs to take to better engage in trade and investment with developing countries. This report complements and builds upon prior CSIS publications on the topic. The development landscape has dramatically changed over the past 25 years. A set of countries once considered “poor” or “third world” have become more prosperous, freer, and healthier. These countries seek international economic engagement in the form of infrastructure investments, increased trade, and exchanges in science, technology, and innovation. As countries move up the prosperity ladder, they will need less foreign aid (i.e., official development assistance—ODA) and demand more participation as equal partners in a diversified global economy. Our only hope of overcoming the environmental challenges we face is to use every tool we can. That means collecting detailed data on issues like air quality, and using what we learn to design the right rules and incentives. MEXICO CITY – The Great Chinese Famine, which peaked in 1960, was the world’s largest on record. But the effects of that famine – including its toll of more than 30 million deaths – were not quantified until long after the fact. That was partly because government officials were afraid to bring whatever information they had to the attention of Mao Zedong, whose Great Leap Forward policy had played a role in causing the famine. But it was also because so few people actually understood the scale of the problem, owing to a lack of data. Is air pollution today’s great famine? In the wake of the Quadrilateral Security Dialogue, or Quad, meeting in Singapore on November 15, Arzan Tarapore considers how this informal grouping of Australia, India, Japan, and the United States could mount a response to China’s revisionism. The Quadrilateral Security Dialogue, or Quad, met again in Singapore on November 15 on the sidelines of the East Asia Summit. An informal grouping of Australia, India, Japan, and the United States, the Quad held its third meeting of officials since it was reformed in November 2017, after a decade-long hiatus. The meeting in Singapore covered a range of security and economic issues under the rubric of supporting a “free, open, and inclusive rules-based order”—in a veiled reference to China’s revisionist policies—and declared the group’s continued deference to “ASEAN centrality” in the region’s institutional architecture. Once again, the group stopped short of announcing any combined military maneuvers or measures that directly push back on Chinese military activities. Google employees are calling on the company to cancel Project Dragonfly, its endeavor to create a censored search engine for China, in an open letter posted on Medium today (Nov. 27). Amnesty International also published a statement condemning Google, warning that Dragonfly “would set a dangerous precedent for tech companies enabling rights abuses by governments.” Google employees have explicitly said they stand with the human-rights group. The Google employees call company leadership’s response to the pushback from human rights organizations and journalists about the controversial search engine “unsatisfactory.” They want the company to commit to “transparency, clear communication, and real accountability.” Earlier this year, following The Intercept’s reportingthat exposed Dragonfly, a letter demanding the same things was signed by 1,400 Google employees and circulated internally. 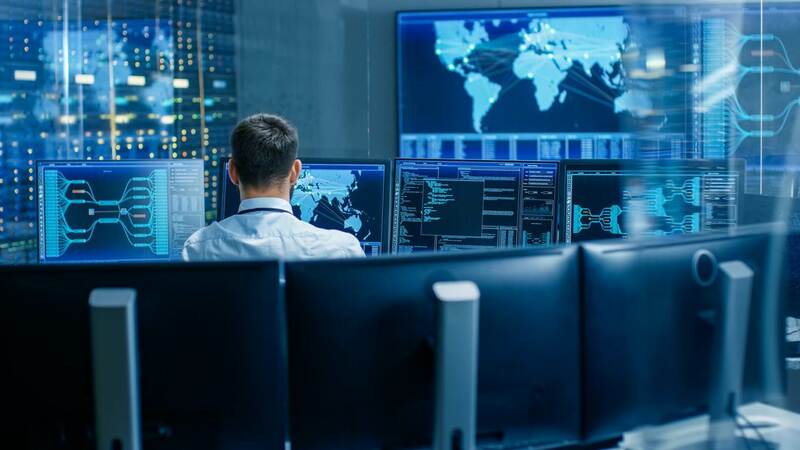 The U.S. government has determined it must remain constantly engaged in cyberspace in response to the steps other countries and non-state actors are taking online. Enemies are participating in economic espionage, theft of intellectual property and sowing distrust in society and American institutions, all of which take place below the threshold of armed conflict. “A lot of the actions in cyberspace fall well below the threshold of use of force or anything like that. That’s our day-to-day life,” Army Brig. Gen. Jennifer Buckner, director of cyber within the Army’s G-3/5/7, told Fifth Domain in a November interview. 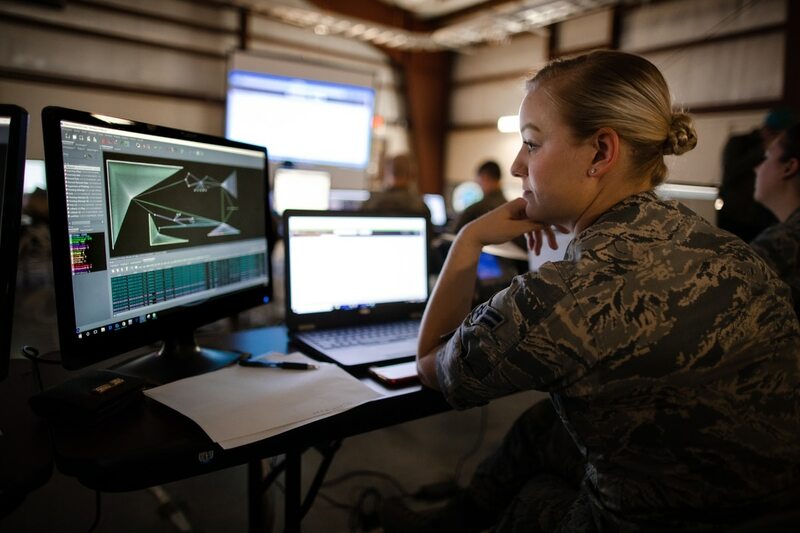 The Joint Force, and the national security community as a whole, must be ready and able to respond to numerous challenges across the full spectrum of conflict including complex operations during peacetime and war. However, this presupposes a general acceptance of a well-understood taxonomy describing the elements that constitute the “continuum of conflict.” The U.S. security community lacks this taxonomy, despite its engagement in a spate of diverse conflicts around the globe from the South China Sea, to Ukraine, Syria, Iraq, and beyond. Partially as a result of this conceptual challenge, we are falling behind in our readiness for the future. As the Chairman of the Joint Chiefs of Staff General Joseph Dunford has admitted “We’re already behind in adapting to the changed character of war today in so many ways.” The U.S. national security establishment must devote greater attention to the range of challenges and adversaries it faces. The first step is recognizing the diversity of potential conflicts and understanding the relative risks of each. 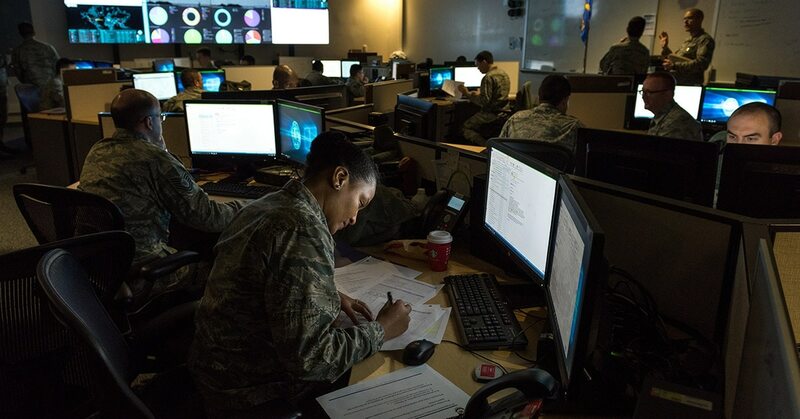 Rather, the modernization effort, known as the integrated tactical network, is a concept that looks to use a series of existing systems – including radios, tablets and satellite communications capabilities – to enable greater connectivity to units battalion and below. 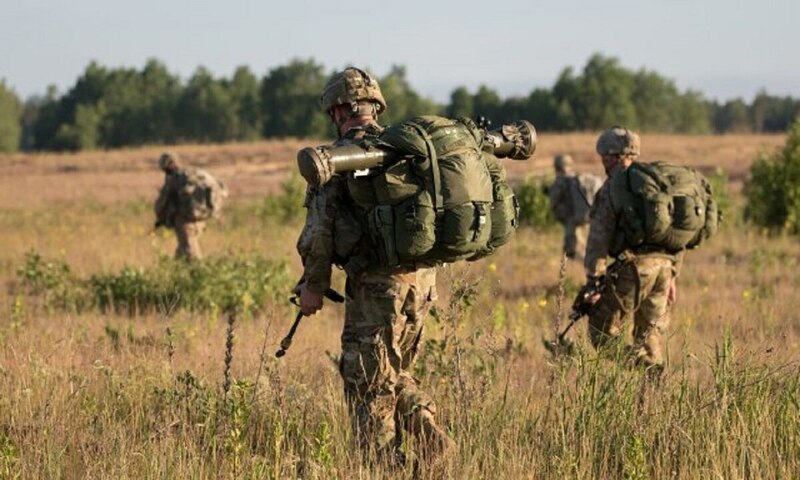 In a new approach the Army is calling the integrated tactical network, the service is seeking to enable greater mission command at lower echelons. U.S. Army researchers have devised a method to produce ceramic body armor, lightweight but strong, from a 3-D printer. Except that 3-D printers are meant to print out knickknacks, not flak jackets. Which meant that engineers had to hack into the printer to get the job done. Ceramic armor, light but hard, provides great protection but can also be difficult to manufacture, notably in combining materials to create a strong com composite. “For ceramics, that’s a bit of a challenge because with you can’t really do a one-step additive manufacturing process like you could if a metal or a polymer,” said Lionel Vargas-Gonzalez, a researcher at the Army Research Laboratory . Week by week, month by month, the horrific war in Syria grinds on, killing Syrian civil war combatants from many countries and, most tragic of all, Syrian civilians—the unintended or, in many cases, intended victims of the warring parties. It’s easy to look at the Syrian war as uniquely horrible, the catastrophic result of geography, Bashar al-Assad’s craven brutality, the spread of jihadism and its malignant ideology, and foreign intervention. But in reality, Syria represents a frightening window into the future of war. If, in fact, Syria is the model, future wars are likely to have several defining characteristics. The first and perhaps most defining characteristic of the Syrian war is its intricate and deadly complexity. Rather than two nations or alliances pitted against each other, multiple interconnected fights occupy the same space and time. Second, the Syrian war suggests that future conflicts will involve a situation-specific configuration of forces, rather than enduring alliances, as one insurgency blends into the next. Third, the conflict shows that despite the massive and well-publicized human costs of contemporary wars, the international community has lost its stomach for humanitarian intervention. Fourth, Syria demonstrates something that has been evident for decades: The United Nations is unsuited to play a major role in complex, modern wars, particularly when permanent members of the U.N. Security Council, each with a veto over its actions, are involved. Synthetic biology has become both a tool for disease mitigation and scientific exploration, as well as a national security concern. The National Academies of Sciences, Engineering, and Medicine has recently released a 2018 report on the threat synthetic biology presents to United States national security, its conclusions are alarming. Factors which were considered while building the analytical framework for this report consisted of the usability of the technology, its usability as a weapon, the requirements of actors, and the potential for mitigation; after considering all factors, the findings were subsequently assigned specific levels of concern based off of these elements. [i]In addition to these elements, the report further assessed the ease of access to both resources and expertise, the barriers of use, the production and delivery methods, and the actions that can be taken to mitigate these challenges. [ii] In conclusion, the report suggests that synthetic biology expands what is possible, it will become increasingly relevant, and it urges the United States Government (USG) to pursue partnerships with various government agencies to implement programs that mitigate this concern, primarily by creating new and appropriate monitoring mechanisms. Synthetic biology demands unconventional attention in ways that are dissimilar to the chemical and biological weapons domains.